Want to Buy Local US Mail Leads? Are you looking to buy local US mail leads? You can buy leads in your local area or State, City or County? 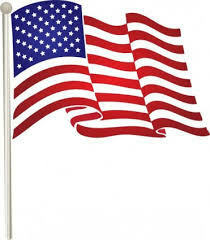 We provide mailing and telemarketing lists for the entire USA only. It is FREE to register online in order to test and see how many contacts are available in your area and demographic before you buy. There are multiple demographic selections to create and filter your list from. How much does an online mailing list Cost? Once you are ready to download your list there is only a $10 minimum to purchase about 100 leads at a time depending on the number of filters your use. You can purchase as often as you like, less than 10 cents each. Additional selections may be subject to additional charges. Just Ask Us we have them all! Business Mailing List Demographics: Company Name, Contacts, Job Titles, Geographic area, # employees, Yearly Revenue, Telephones, Employee size actual, Franchise, Head Office, Branch locations, Fax numbers, Gender, Website URL, Owner gender, Owner ethnicity and many many more…. This Business List include over 20,000,000 companies and addresses and more than 16,000,000 senior and middle-management executives by job title. This consumer list provides over 100,000,000 homes and more than 156,000,000 people. This list is rebuilt from scratch every 2 months with new monthly phone updates. 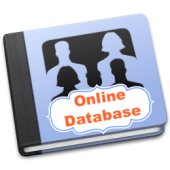 This list is made from many sources including telephone directories, county recorder, county tax files and other compiled lists. There are keycodes attached to each record to reduce duplication. This is the most complete and thorough prospect data available for your marketing efforts. The Pre-Mover file is comprised of consumers who currently have listed their home for sale. The ability to identify households before they move is immensely valuable to marketers for selling products and services. The buying and selling of a home begins a series of critical, valuable and educated buying decisions by the consumer. Utilize this data to maximize ROI as you find households during the critical “eager-to-buy” phase before and during the move. The six-month New Mover database is updated on a month to month premise. The larger part of our new records are included and records showing up over six months are erased. Updates are planned on the fourth Friday of every month and is accessible on the following Monday. NOTE: New telephone numbers are included the week AFTER the month to month update. Our 6 month New Homeowners file contains the most up-to-date real property information directly from U.S. County Recorder’s offices. Because we update the file on a weekly basis, you’re sure to get the freshest data available. People in this segment are very desirable because they demonstrate stability as well as purchasing power. New homeowners establish new buying patterns and service relationships to reflect their priorities. The 6 month New Homeowners database contains the most a la mode genuine property data from the offices of U.S.County Recorders. Since we upgrade the record on a week by week premise, you’re certain to get the freshest information accessible. Individuals in this section are extremely desirable in light of the fact that they exhibit stability and in addition purchasing power. New property holders set up new purchasing patterns and utility connections to mirror their needs. This data is a complete, genuine property rundown sourced from the region recorder and assessor records intended to help you target prospects that purchase real estate. It is based on a month to month premise and contains more than 45 million U.S. family units. While keeping up consistence with State Attorney General Do Not Call is the obligation of every Telemarketing association, to help our clients in meeting these state prerequisites we apply SAG Do Not Call suppression every 30 days. The suppression is performed on to the record by the first day of every month.